Vodafone UK just launched most waited smartphone of this Christmas, Samsung Galaxy Nexus. And if you willing to buy it from them, they have 5 deals for you. But all the offers come with 24 month. Beside this 12 months and 18 months deal are also possible. You can buy Galaxy Nexus totally free signing a 2 year contract starting from £41/monthly. Check Vodafone official website to see all the details about galaxy Nexus price and plans. 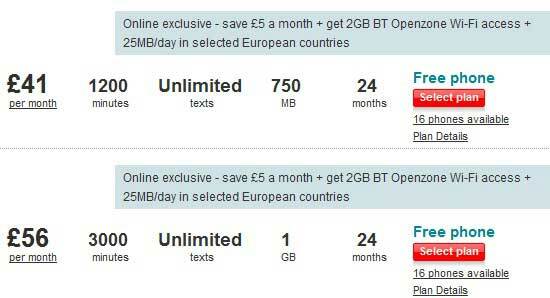 O2 UK is already selling the Galaxy Nexus away before Vodafone. And the Carphone Warehouse, one of the most trusted online phone retailer of UK has the Galaxy Nexus listed for free on a £36 a month deal with Vodafone, Orange and O2 UK, which is 5 pounds cheaper than the Vodafone deal. So its up to what will you choose with your Galaxy Nexus.